At the Academic Regalia Depot, we believe once you see the combination of quality, variety, price, and quick delivery options we have available, you'll want to purchase your academic graduation regalia from us. 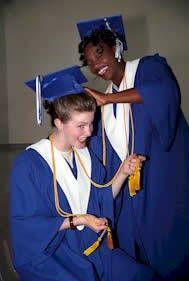 In fact, most of our Cap and Gown business is repeat business and customer referrals. We are extremely pleased with the quality and variety of both the Faculty Academic Regalia and student graduation regalia we have to offer, and are confident you'll like what you see here. We stock Caps and Gowns for students and teachers, from preschool (kindergarten) through doctoral degrees, for fast delivery. 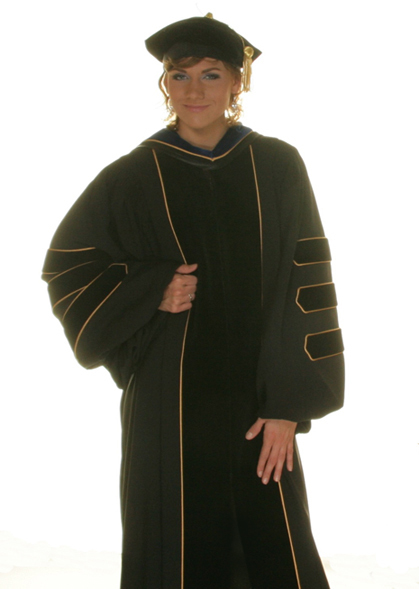 Our Faculty Caps and Gowns are available in deluxe quality (comparable in quality to a made-to-measure academic gowns, IN STOCK at a tremendous saving$), plus IN STOCK Faculty quality Doctoral Gowns and Master's Gowns. Individual Cap and Gown orders accepted. 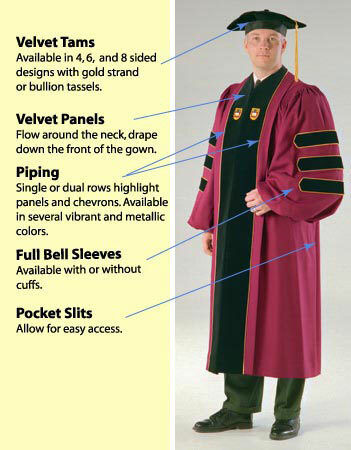 Plus we have the ability to custom make your doctoral regalia in your choice of fabrics, colors, and velvets! Late Cap and Gown orders are also accepted. 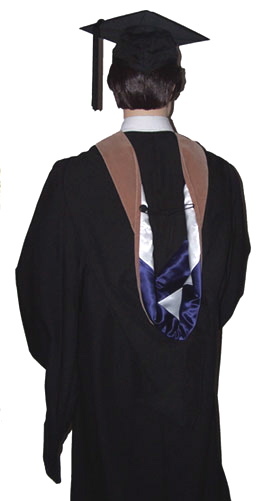 Our Faculty Cap and Gown department handles all aspects of academic dress from Presidential and Trustee gowns and robes, to custom PhD gowns / Doctoral Robes, to Master's and bachelor's Caps and Gowns. Our student Cap and Gown department handles all sorts of graduation gowns and accessories, such as Honor Cords, Honor Stoles and Key Chain Tassels. Tassels, Honor Stoles, Honor Cords. Home page of Academic Regalia Depot we provide academic graduation regalia, including Doctoral Gowns, Middle School Cap and Gown sets; Elementary School Caps and Gowns; and Preschool Graduation Gowns. 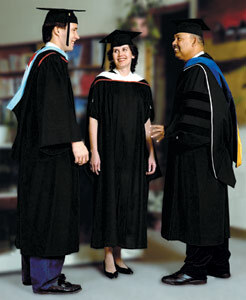 This site includes information about caps & gowns and other graduation attire such as Doctoral Robes, Mortarboards and Tassels, and Velvet Tams worn at Graduation and Commencement ceremonies, plus information concerning Academic Graduation Hoods including How to Wear an Academic Hood and the correct academic hood colors for each degree.